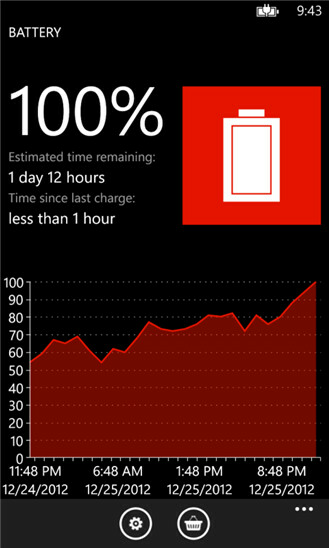 Battery, the simply titled electric juice measurement app for Windows Phone 8, is one of the best when it comes to glancing at how much power you have left in your handset quickly, and is now free. 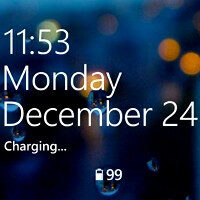 It has it all - battery status on the lock screen, not one or two, but three types of live tiles, as well as graphs and charts with your battery usage, including in landscape view. The Battery app also shows you the time since last charge, and now with the latest update you can get all of that info for free, and forget about your range anxiety. Get it from the link below. Well... The title of this artical is a little misleading..
damn, from the title of this article, i thought the "battery" is actually free. but it's just the apps. I need this on Windows 8 Pro... I hate that Microsoft kept the same battery icon, and when you bring Charms it does NOT show percentage... it is completely useless to know that I have "some" battery instead of a percentile.